David Franklin is an Adjunct Instructor at Florida State College Jacksonville’s (FSCJ) Fire Academy of the South since 2015. The Fire Academy of the South is home to local, regional, and international Airport Firefighter training certified to the FAA 139 and Pro-Board. The Academy is located in Jacksonville Florida and provides the initial 40 hour course and fully customizable refresher training in accordance to the FAA requirement. In addition The Fire Academy of the South is a training center for the State of Florida Minimum Standards, Hazardous Materials, and Florida Urban Search and Rescue (FLUSAR) series. Recorded at the ARFF Working Group Leadership Conference. Aviation terminals, hangars, and support facility fire incidents may be low-frequency, but they often come with high-consequences. Review and research of recent news headlines and data on aircraft facility fires, will reveal that the majority of aviation facility related incidents are highly preventable. Aaron Johnson, Fire Marshal, Rural/Metro Fire Department, reviews how leadership in the application of key fire prevention principles will further reduce the occurrence of fire incidents, and will contribute to reduced risk exposure for the airport authority and its tenants. Recorded at the ARFF Working Group Leadership Conference. Today, there are at least three distinctive generations in the ARFF Service. Baby Boomers are team players, love social interaction at work and invest time to work their way up. Gen-X-ers are skeptical, determined to do a good job, but also go home and have a life. Millenials (Gen Y-ers) have little patience if they’re not happy or content, they leave. By 2025, (7 years) 75% of the workforce in the ARFF Service will be Gen-Y. Glen Mitchell, Fire Chief, State of Hawaii DOT, reviews the leadership tools needed to minimize the difference in generations, and the skill-set to be successful Fire Officers in the future. Recorded at the ARFF Working Group Leadership Conference. We have known for many years that that Perfluorooctane Sulfonate (PFOS) was associated with health risks. There are indications that exposure routes include ingestion (contaminated water supply), absorption through the skin and perhaps inhalation. Jack Kreckie, Chief of Operations for ARFF Professional Services, LLC, discusses the problem and provides guidance to protecting fire fighters during foam handling. Recorded at the ARFF Working Group Leadership Conference. Jeff Burgess, MD, MS, MPH Associate Dean for Research and a Professor at the University of Arizona Mel and Enid Zuckerman College of Public Health, concludes his discussion on cancer in the ARFF community. To address these risks and needs, they partnered with the Tucson Fire Department to carry out a research study. Parts 2 of 2. Recorded at the ARFF Working Group Leadership Conference. Jeff Burgess, MD, MS, MPH is Associate Dean for Research and a Professor at the University of Arizona Mel and Enid Zuckerman College of Public Health. Cancer is a leading cause of fire service morbidity and mortality. Firefighter exposure to carcinogens occurs through skin contamination and through the lungs when respiratory protection is not worn. This presentation will describe the collaborative process of working with our partner fire departments and the results of our studies to date. Parts 1 of 2. Recorded at the ARFF Working Group Leadership Conference. Darin Hooten, Battalion Chief for Jacksonville Fire-Rescue, discusses the role of the ARFF Chief in terms of knowledge, leadership, attitude toward required training, and various relationships with airport administration and FAA officials. Recorded at the ARFF Working Group Leadership Conference. Timothy Sampey, the Assistant Deputy Fire Commissioner of Airport Operations for the Chicago Fire Department, concludes his discussion on the follow-up aspect of lessons learned from an emergency. Recorded at the ARFF Working Group Leadership Conference. Timothy Sampey, the Assistant Deputy Fire Commissioner of Airport Operations for the Chicago Fire Department, focused on the follow-up aspect of lessons learned from an emergency. Only a true emergency will fully test an organizations capabilities in regards to procedures, equipment, and manpower. Identifying an organizations vulnerabilities and shortcomings are only the beginning of the solution, resolving those vulnerabilities to ensure a better outcome is every chiefs' responsibility. If we fail to learn from our mistakes we are doomed to repeat them, this is what they refer to as experience. Recorded at the ARFF Working Group Leadership Conference. Rachael R. Benezette, Chief Warrant Officer 3, reviews the importance of estate planning for firefighters and what their families need to know. Recorded at the ARFF Working Group Leadership Conference. Related Document(s): Are They Prepared? Marc Tonnacliff is the ARFF Specialist for the Federal Aviation Administration. He reviewed the latest FAA updates that will impact the ARFF community at airports. He provided updates on the ARFF web page and statistics, new advisory circulars, FAA research, FAA Reauthorization Bill 2018, AFFF Certification Alert and ACRP projects. Recorded at the ARFF Working Group Leadership Conference. Elizabeth Hendel, MS, AMF, assistant fire chief of the Phoenix Fire Department, reviews the recommendations on avoidance of vehicle victim strikes in the mass casualty environment. Filmed at the ARFF Working Group Annual Conference. John Wilson, assistant professor and chair from Embry Riddle Aeronautical University and Eric Kave, CEM, AMF, section chief at the Atlanta Fire Rescue Department, reviews the full scale exercise that occurred at the Hartsfield-Jackson Atlanta International Airport (ATL) in November 2017. The presenters discuss the planning and execution of such an involved drill and focus upon the findings from the execution of the rescues at both the Delta and Southwest airlines maintenance facilities with various personnel who have the potential to be involved during such an incident. Filmed at the ARFF working Group Annual Conference. Jack Kreckie, Chief of Operations for ARFF Professional Services, reviews the recommendations for the NTSB Task Force Report A-14-58 - Use of High Reach Extendable Turret. He also discussed how they collaborated with the Federal Aviation Administration and equipment manufacturers to develop and distribute more specific policies and guidance about when, how, and where to use the high-reach extendable turret’s unique capabilities. Filmed at the ARFF Working Group Annual Conference. Mutual Aid: How Well Do You Know Your Partners? Russell Shoultz, MSN, CNP, assistant fire chief for the Combat Readiness Training Center Fire Department reviews ideas and concepts to assure emergency services organizations have a true interoperable mutual aid program. This program will introduce proven methods to strengthen your current mutual aid programs. Filmed at the ARFF Working Group Annual Conference. Related Document(s): Mutual Aid: How Well Do You Know Your Partners? Jason Graber, battalion chief for the Metropolitan Washington Airports Authority, reviews recommendations for the NTSB Task Force Report A-14-61 on training standards for command personnel. Filmed at the ARFF Working Group Annual Conference. AAAE and the ARFF Working Group updated the ARFF Designation programs that will enhance the knowledge and professionalism of ARFF personnel. The Airport Master Firefighter (A.M.F.) program is designed to provide ARFF personnel with a thorough knowledge of ARFF Operations and Airport Administration/Management, and to test in these areas to earn the A.M.F. designation. The Airport Fire Officer (A.F.O.) program is a professional research and assessment designation program designed specifically for high level leadership in the ARFF profession. Filmed at the ARFF Working Group Annual Conference. Jacob McAfee, MS, CFO, CTO, MIFireE is the Fire Chief of the Fresno City College Fire Academy and Director of Fire Technology Programs. In this session, he will discuss basic military and civilian aircraft hazards and how they can change fire ground operations out of the airport environment. Additionally, he will discuss the development and critical components of aircraft pre-fire planning and how to integrate mutual aid partners in training and response. Filmed at the ARFF Working Group Annual Conference. Jack Kreckie, Chief of Operations for ARFF Professional Services, continued his discussion on the NTSB Task Force A-14-60 report. He reviewed videos of the different tactical exercises taken of each staffing scenario. Part 2 of 2. Filmed at the ARFF Working Group Annual Conference. Jack Kreckie, Chief of Operations for ARFF Professional Services, reviewed the NTSB Task Force A-14-60 report. The report focused on the development of a minimum aircraft rescue and firefighting staffing level that would allow exterior firefighting, rapid entry into an airplane to perform interior firefighting and rescue of passengers and crew members. Part 1 of 2. Filmed at the ARFF Working Group Annual Conference. Lars Andersen, Fire Chief for the Royal Danish Air Force, reviewed the project that his fire department launched earlier this year. His intention was to strengthen the incident commander’s ability to act in complex and chaotic situations. They were taught new theories to help their reflection. Their second goal was to develop new kinds of incident reports. The new incident reports should reflect the thoughts and considerations of the incident commanders during the operations. This presentation will be about the process, the results and the knowledge that was generated from the new incident reports. Filmed at the ARFF Working Group Annual Conference. Robert Palestrant, District Chief for the Broward Sheriffs Office, concludes his discussion regarding the February 2017 mass shooting at Fort Lauderdale/Hollywood International Airport. Part 2. Filmed at the ARFF Working Group Annual Conference. Robert Palestrant, District Chief for the Broward Sheriffs Office, reviewed the February 2017 mass shooting at Fort Lauderdale/Hollywood International Airport resulted in five fatalities as well as a complete evacuation of close to 12,000 people. Almost two dozen fully loaded aircraft remained on the tarmac, with up to 5,000 passengers and crews unable to disembark due to security concerns. The presentation focuses on the fire rescue response, lessons learned, and areas for improvement. Part 1. Filmed at the ARFF Working Group Annual Conference. Marc Tonnacliff is the ARFF Specialist for the Federal Aviation Administration. He reviewed the latest FAA updates that will impact the ARFF community at airports. He provided updates on specifications for ARFF vehicles, CCMIS analysis, FAA research, ARFF Staffing, FAA new hand signals, ACRP Projects and NTSB updates. Recorded at the ARFF Working Group annual conference. FedEx Captain Jim Tucker wraps up his account of the April 7, 1994 incident. Part 2 of 2. Recorded at the 2018 ARFF Working Annual Conference. FedEx Captain Jim Tucker never expected to roll a fully loaded DC-10. But on April 7, 1994, Tucker was attacked and critically wounded by a suicidal coworker who struck him and his two fellow pilots with a hammer in an attempt to crash their fully loaded jet. The attack took place on a sunny afternoon, a few minutes after a normal takeoff from FedEx’s home base at Memphis IAP. Even though partially paralyzed from a devastating blow that fractured his skull, Tucker abruptly rolled the 500,000-pound jet upside down to throw the attacker off balance. He rallied his seriously injured fellow pilots and together they began a desperate, 30-minute struggle to save themselves, their aircraft – and possibly FedEx itself. Part 1 of 2. Recorded at the 2018 ARFF Working Group Annual Conference. Ken Holland, Senior Emergency Services Specialist for the NFPA, gave a brief update on the status of several NFPA standards. He provided a basic understanding of where documents are in their process, and the new requirements or changes to existing requirements. John Keith Wilson, Assistant Professor, and Rene Herron, Associate Professor, Embry-Riddle Aeronautical University-Worldwide, examines employee performance improvement strategies from the human performance technologist perspective. Using Weldman’s Performance Pyramid as a model, factors that impact employee performance will be evaluated and strategies to improve organizational performance proposed. As is often the case, performance problems typically have more than one causal factor. Organizations that tend to focus the improvement intervention solely on training can waste valuable resources attempted to correct a performance symptom rather than root cause. Related Document(s): When is Training Not the Answer? Randy Krause, fire chief for the Port of Seattle, reviews his strategies on how they address staffing at Sea-Tac with executive leadership. Tim Orthmeyer, ARFF and Public Safety Training Development Manager for Morrison-Maierle, reviews the process required to develop an ARFF training facility for use as a regional training center, or an individual training center at your own airport. Kevin Murphy, Live Training Specialist for the Chicago Fire Department, reviews helicopter components, various types of helicopters, hazard areas, safe approach, hazards to personnel during ground operations, suppression and rescue. ARFF professionals conclude their presentation regarding the accident involving Asiana Flight 214 that occurred July 6, 2013 at San Francisco Int'l Airport. Part 2 of 2. ARFF professionals presented this report on recommendations the NTSB tasked the ARFF Working Group with regarding the accident involving Asiana Flight 214 that occurred July 6, 2013 at San Francisco Int'l Airport. Part 1 of 2. Tonya Hoover, superintendent, USFA - National Fire Academy, gives an overview of the NFA National System for Training and the importance of continued education in the workplace. Marc Kilman-Burnham, National Director of AMR Rural Metro Fire, completes his discussion on how to make trust the center of your team strengths, understanding what each age group needs to trust and how that equals effective leadership. Part 2 of 2. Marc Kilman-Burnham, National Director of AMR Rural Metro Fire, reviews the importance of trust in a leadership role. He also discusses how to work with those around you to gain and maintain trust, knowing what motivates others to trust and how trust leads to clear understanding of our roles and responsibilities as a leader. Part 1 of 2. Jason Graber, Battalion Chief for the Metropolitan Washington Airports Authority, reviewed his manual on ARFF Professional Development. The manual works through a series of steps that an ARFF Firefighter or Officer will progress through in their career with reasonable and logical steps of training and education they should complete. Lieutenant Leonard Edling, of the Chicago Fire Department, discusses CFDs' training curriculum, tracking reporting and how to stay compliant for FAA inspections. This presentation discusses how to deal with change. The following topics will be discussed: how change affects us, our staff and those we serve, how to deal with change, how to lead change and the positive aspects of change in our lives. On September 9th 2017, at Charlotte Douglas Airport, a local bank’s aircraft hangar fire suppression system activated. The system filled a building around 60,000 sq. ft. in 7 minutes with high expansion foam. The purpose of this presentation is to review and explain the decisions they made and give other departments the opportunity to see what could possibly happen in similar situations. Karl Ristow, CFAI Program Director,the Center for Public Safety Excellence, wraps up his discussion on the self-assessment and accreditation processes. Part 2 of 2. Self-assessment in the fire service does not come easy as we already think we do a great job and there are very few mandates to do so. This presentation will introduce attendees about the quality improvement model and the accreditation process that was created over 20 years ago through an agreement between the International Association of Fire Chiefs and the International City/County Managers Association. Part 1 of 2. Implementation of a Dedicated National Call Sign - Where Do We Go From Here? Captain Jeff Raines, Deputy Chairman for the Allied Pilots Association, reviews the brief history, accomplishments and what's next for the dedicated national call sign initiative. In Part 2, Keith Bagot, ARFF Research Program Manager, FAA Technical Center, reviews the research projects the technical center is focused on such as thermal balance during fire extinguishment, compressed air foam, AFFF crystallization and input-based foam proportioning system testing technologies. Part 2 of 2. Keith Bagot, ARFF Research Program Manager, FAA Technical Center, gives a general overview of the technical center focusing on the facilities and equipment available. Part 1 of 2. Mike Evans, Fire Chief at Detroit Metropolitan Airport, reviews the February 2, 2016 American Airlines Flight #1418 incident detailing the events that led to the rear lavatory fire. Upon investigation it was found that the fire in the rear lavatory was extinguished by flight crew with a halon extinguisher. The fire department investigation concluded that it appeared to be an intentional ignition, arson. Janal Vasallo, Public Relations and Information Manager for Lakeland Fire Department, concludes her discussion on how to promote your fire department with limited resources and budget. Part 2 of 2. The presentation will focus on the effective actions and tools fire departments can use to market themselves and the value they provide in their communities. The presentation will cover general strategies that are cost effective and applicable at most departments. The strategies can be applied to fire departments as a whole, or among divisions within the department, regardless of what their specialties may be (e.g. Urban, Rural, ARFF, Volunteer, etc.) The Lakeland Fire Department (LFD) will be used as the primary case study within the presentation. It will prove that a department can go from being one with minimal marketing to one that is regionally recognized for its effective use of marketing, as was the case at LFD. Effectively marketing your fire department can create appreciation and value from its service base, secure and continued funding, better morale amongst employees, and the slough of other benefits. John Keith Wilson, Assistant Professor/Chair BS/AS Maintenance at Embry-Riddle Aeronautical University, focused his presentation on human factor challenges faced when integrating ARFF and aviation maintenance organizations into an effective team during confined space rescue. Timothy Sampey, Assistant Deputy Fire Commissioner - Airport Operations for the Chicago Fire Department, wraps up the discussion of the incident. Part 4 of 4. Timothy Sampey continues to explain the events as they unfold in the October 28th, 2016 AA Flight #383 incident. Part 3 of 4. Timothy Sampey, Assistant Deputy Fire Commissioner - Airport Operations for the Chicago Fire Department, continued his discussion on the Chicago-O'Hare Incident of Flight #383 on October 28, 2016. In Part 2, he reviewed the events as they unfolded in the incident. Part 2 of 4. Timothy Sampey, Assistant Deputy Fire Commissioner - Airport Operations for the Chicago Fire Department, reviewed the Chicago-O'Hare Incident of Flight #383 on October 28, 2016. Part 1 of 4. Don Galloway, Battalion Chief at Broward Sheriff's Office Division of Fire Rescue, wraps up the discussion regarding the FedEx incident. Part 2 of 2. Don Galloway, Battalion Chief at Broward Sheriff's Office Division of Fire Rescue, reviewed the response and challenges of the October 28, 2016 FedEx incident. Part 1 of 2. Fire Chief Joe Johnson, of Smyrna Rutherford County Airport Authority, will address the crash response, and also focus on the preparation for operations and planning for the great Tennessee Air Show. Battalion Chief John Maddox of Lakeland Fire Department, Lt. James Thompson of Lakeland Fire Department and Battalion Chief Larry Lippel of Charlotte County Fire and EMS, wrap up their discussion regarding the new requirements of NFPA 403. Part 2 of 2. This topic will discuss the changes to NFPA 403 submitted by the NFPA Technical Committee for ARFF, and how they would affect airports and military bases from three different viewpoints and operations. Battalion Chief John Maddox of Lakeland Fire Department, Lt. James Thompson of Lakeland Fire Department and Battalion Chief Larry Lippel of Charlotte County Fire and EMS, bring a vast amount of air show knowledge to the table from different types of airports and air shows. This presentation will demonstrate how the new requirements of NFPA 403 can be accomplished to include real world examples. Part 1 of 2. William Swarthout, firefighter for the City of Oakland, reviewed their ARFF apparatus rollover that occurred on June 24, 2014. He discussed what went right and lessons learned. Lars Anderson, Fire Chief/Chief Sergeant Major, Fighter Wind Skrydstrup, Royal Danish Air Force, wraps up his discussion and the challenges he faced holding dual roles as the fire chief and the on scene commander. Part 2 of 2. A wreck of a fighter jet is not just a pile of scrap. It contains ammunition, HAZMAT and classified material and most important in this case; it contained very important evidence material that was crucial to the work of the crash investigation team. Lars Anderson, Fire Chief/Chief Sergeant Major, Fighter Wind Skrydstrup, Royal Danish Air Force, reviewed the investigation of a F-16 crash in the Atlantic Ocean. He was the on scene commander responsible for recovering the wreck and the evidence material. Part 1 of 2. John Thompson, Fire Chief of the 99th Civil Engineer Squadron, reviews the incident of the collision of two F-16's at Nellis AFB. The incident was more like a high speed car crash that trapped one of the pilots inside his burning F-16. The briefing will detail response and extrication of the pilot from his aircraft. For more training on F-16's, please check out Part 139.319 Aircraft Familiarization on F-16 Emergency Shut Down and Rescue Procedures video. Jim Price, Airport Certification Safety Inspector from the FAA, wraps up his discussion on proper training documentation at your airport. Part 2 of 2. Jim Price, Airport Certification Safety Inspector from the FAA, discusses how to accurately document your training at your airport. He also provides examples of good and bad documentation. Part 1 of 2. This class will help you lead and motivate employees of any age. In Part 2, Marc Kilman-Burnham, the National Director of Innovative Practices, American Medical Response/Rural Metro Fire, wraps up his session on the motivations of the 5 generations in the workforce. He explains what each generation responds to and what they don't. He offers examples of how to lead the willing and help the unwilling. He concludes with how to build trust and pride in your team. Part 2 of 2. Recorded February 2017. This class will help you lead and motivate employees of any age. Marc Kilman-Burnham, the National Director of Innovative Practices, American Medical Response/Rural Metro Fire, reviews the current 5 generations in the workforce today. He provides reasons why understanding what motivates each age group will lead to teamwork and effective leadership. Part 1 of 2. Recorded February 2017. Captain Brian Snodgrass, Phoenix Fire Department, and District Chief Robert Palestrant, Broward County Fire and Rescue, wraps up their discussion on airport security from the arff perspective, how to recognize potential terrorist activity and cloned vehicles and uniforms. Part 2 of 2. Recorded September 21, 2016. Captain Brian Snodgrass, Phoenix Fire Department, and District Chief Robert Palestrant, Broward County Fire and Rescue, discussed the evolution of the fire service, how to institute change, airport security from the arff perspective, how to recognize potential terrorist activity and cloned vehicles and uniforms. Part 1 of 2. Recorded September 21, 2016. The Call Comes...Are you Ready? Cory Huffman, Captain, Salt Lake City International Airport Fire Department, reviews in this video a hypothetical tabletop incident, how to develop command structure, resources to consider to mitigate the incident and develop training to improve readiness. Recorded September 21, 2016. Lee Shaffer, Assistant Chief of Training at Kirtland Air Force Base, discussed the history of air show accidents, planning, emergency preparation and response. Also, he reviewed the air boss procedures and lessons learned from their air show. Recorded September 21, 2016. Lars Anderson, Fire Chief/Chief Sergeant Major, Fighter Wind Skrydstrup, Royal Danish Air Force, discussed mutual aid assistance in incidents in Denmark. Recorded September 20, 2016. Amanda Woodward, Emergency Management Coordinator II for Pasco County Office of Emergency Management, discusses the human factors that impact fire emergencies negatively, and good safety practices. Recorded September 20, 2016. Jason Graber, Battalion Chief for the Metropolitan Washington Airports Authority Fire and Rescue Department, discusses how the arff community can learn from previous industry related events and the impact those lessons have had on policy changes. Recorded September 20, 2016. Jon O'Brien, Fire Chief for Broward Sheriff's Office Fire and Rescue, reviewed the Dynamic Airline incident on October 29, 2015. He discussed the arff response and lessons learned. Recorded September 20, 2016. William Hutfilz, Training Officer at Clark County Fire Department wraps up his discussion on the British Airways Flight #2276 incident and reviews lessons learned. Part 2 of 2. Recorded September 20, 2016. William Hutfilz, Training Officer for Clark County Fire Department, reviews the British Airways Flight #2276 incident at LAS on September 8, 2015. Part 1 of 2. Recorded September 20, 2016. Pete Wentz and Courtney Liedler of the NTSB, reviewed the ERA14MA271 incident from May 31, 2014 in Bedford, Massachusetts. Deputy Chief Ted Costa, Massport Fire, provided his perspective as part of the investigation team at Hanscom Airforce Base (BED). Part 2 of 2. Recorded September 20, 2016. Pete Wentz and Courtney Liedler of the National Transportation Safety Board, reviews the organization of the NTSB and its purpose. Also, they explain the investigation process, and preparations you need to do prior to NTSB's arrival to the scene. Part 1 of 2. Recorded September 20, 2016. With more and more composites being used in the industry it is essential for Airport Firefighters to become familiar with the recommended procedures for cutting into this type of fuselage. This short video was produced by Boeing to review their recommendation for cutting through the composite main body of an aircraft in an emergency that involves fire, rescue, or both. See how an ARFF vehicle manufacturer performs the FAA required in service training for firefighters during the delivery process of a new ARFF unit, the Rosenbauer Panther. This video is a review of the proper use of fire hoses, nozzles, turrets and other appliances as outlined in FAA AC 150/5210-17C, Programs for Training of ARFF Personnel. Orlando Sanford International Airport Fire Department demonstrates how to gain access inside an aircraft during an emergency. They review the proper tools to use per scenario and include important decisions to consider during an emergency event. See tips on how to write specifications for a new ARFF unit as Retired Chief Duane Kann of Orlando International Airport visits Rosenbauer's factory. You will see how these vehicles are made and how the final inspection is conducted. iger Schmittendorf, Deputy Fire Coordinator, County of Erie Department of Emergency Services, Buffalo, NY, wraps up his discussion regarding the differences between the XBOX generation versus the older generation and how they can work together towards common goals. Part 3 of 3. Recorded September 15, 2015. Tiger Schmittendorf, Deputy Fire Coordinator, County of Erie Department of Emergency Services, Buffalo, NY, discusses common perceptions and realities of the Xbox generation. Part 2 of 3. Recorded September 15, 2015. Tiger Schmittendorf, Deputy Fire Coordinator, County of Erie Department of Emergency Services, Buffalo, NY, compares the differences between the XBOX generation versus the older generation and how they can work together towards common goals. Part 1 of 3. Recorded September 15, 2015. Francois Jacquet, Fire Chief, Ottawa International Airport and Ron Gould, of the National Research Council, wraps up their discussion on aircraft fire tests. Part 2 of 2. Recorded September 17, 2015. Francois Jacquet, Fire Chief, Ottawa International Airport and Ron Gould, of the National Research Council, reviewed their aircraft fire tests to compare the differences between aluminum and composite burn through. Part 1 of 2. Recorded September 17, 2015. Battalion Chief John Maddox and Lieutenant James Thompson, of Lakeland Fire Department, detail the events from a Piper Apache crash into a warehouse filled with explosives located off airport. They also reviewed lessons learned from the incident. Recorded September 17, 2015. Luc Amiguet, Swiss Transportation Safety Investigative Board in Payerne, Switzerland, reviews the risks of Ballistic Parachute Systems (BPS) in aircraft to emergency responders and investigative crews. Recorded September 16, 2015. Graeme Day, Fire and Rescue Service Policy and Oversight Manager at Heathrow Airport, reviews incidents at Heathrow and how ARFF responses have changed at their airport. Recorded September 16, 2015. Gillies Crichton, Head of Assurance at Glasgow Airport, discusses how to use safety management systems to help reduce risks at your airport. Recorded September 15, 2015. Joel Baker, Fire Chief, Atlanta Fire Department, discussed how to make the airports safer, and reviewed life safety facility inspections, facility inspections, FAA fueling inspections and fire prevention education. Recorded September 15, 2015. Charles Lavene, Fire Chief for Norfolk International Airport, reviewed the details of the triple fatal crash at Norfolk's Botanical Gardens on March 4, 2015. He discussed the response, lessons learned and the post incident critques. Recorded September 16, 2015. Stephen Noll, Instructor TechOps Training for Delta Air Lines, reviews the different types of wide body aircraft and reviews Delta's cargo fire systems. Recorded September 15, 2015. Delta Air Lines Captain Guy Cadaing shares the pilot's perspective of what happens inside the aircraft during an emergency event. Recorded September 15, 2015. Brenda Filbert, Lieutenant of Fire Prevention at the Orlando International Airport Fire Rescue, reviews the proper procedures to perform a hydrant cart inspection. Robert Palestrant, Battalion Chief for Broward Sheriff's Office, wraps up his discussion on how ARFF and special operations works together and touches on his perspective of regulatory agencies and professional organizations. Part 2 of 2. Recorded January 30, 2015. Robert Palestrant, Battalion Chief for Broward Sheriff's Office, provided an overview of the history of ARFF and Fort Lauderdale/Hollywood International Airport. He reviewed how ARFF and special operations works together and touches on his perspective of regulatory agencies and professional organizations. Part 1 of 2. Recorded January 30, 2015. Timothy Sampey, District Chief for the Chicago Fire Department, Chicago O'Hare International Airport, wraps up his discussion on the details of the ORD bus crash incident that occurred on August 29, 2014. Also, he reviewed the MDW plane crash that occurred on November 18, 2014. He emphasized throughout the incident reviews that all the different departments at the airport were needed to get airport operations back to normal. Part 3 of 3. Recorded January 29, 2015. Timothy Sampey, District Chief for the Chicago Fire Department, Chicago O'Hare International Airport, reviewed the CTA train crash incident that occurred on March 24, 2014. He also explained the details of the ORD bus crash incident that occurred on August 29, 2014. Part 2 of 3. Recorded January 29, 2015. Timothy Sampey, District Chief for the Chicago Fire Department, Chicago O'Hare International Airport, reviews three incidents involving a train, shuttle bus and an airplane, and how to manage an incident and get airport operations back to normal. Part 1 of 3. Recorded January 29, 2015. Larry Lippel, Battalion Chief for Charlotte County Fire/EMS, discussed the challenges they face to maintain safety at their airport with the reduced personnel available. Recorded January 28, 2015. Battalion Chief Tom Kenney and Deputy Chief Scott LeGore, of the Metropolitan Washington Airports Authority, wraps up the discussion on how to handle CDC cases at your airport. Part 2 of 2. Recorded January 28, 2015. Battalion Chief Tom Kenney and Deputy Chief Scott LeGore, of the Metropolitan Washington Airports Authority, reviewed the Ebola incidents they encountered at Washington Dulles International Airport. They explained the incidents and their response to handle the cases. Also, they discussed how they formulated SOPs for handling CDC cases. Part 1 of 2. Recorded January 28, 2015. Captain James Bradshaw and Chuck Knowles, of DFW Fire Training Research Center, discussed how they prepare their ARFF training at their training facility, and what you need to do to improve your departments. They asked typical myths in ARFF training and offered the reality on how to handle each case. Recorded October 2, 2014. Dale Carnes, Chief for San Francisco Fire Department, wrapped up his overview of the incident and discussed the lessons learned, improvements and enhancements. Part 2 of 2. Recorded October 1, 2014. On July 6, 2013, Asiana Flight #214 crashed at the San Francisco International Airport. Dale Carnes, Chief for San Francisco Fire Department, reviewed the incident, response and challenges. Part 1 of 2. Recorded October 1, 2014. Fil Meraz, Airport Operations Coordinator and Kirk Schoenthaler, Airport Operations Officer of Aspen/Pitkin County Airport, reviewed an overview of the airport, two previous incidents at the airport, the January 5th incident, the response and future incident preparedness. Recorded October 1, 2014. In this edition of the Aircraft Familiarization Series, Lt. Tom Littlepage, Evansville Regional Airport (EVV ARFF), goes to Orlando Cessna Citation Service Center to review the most popular business aircraft, the Cessna Citation. Tom and James Perine, of Cessna Citation Service Center, demonstrates important safety features and ARFF procedures for the various Cessna models. In this edition of Part 139.319 Aircraft Familiarization, we feature the Boeing 737-700, 800 and 900-ER. Lt. Tom Littlepage, EVV ARFF (Evansville, IN), demonstrates important safety features and ARFF procedures for the 737-900. John Healing, United Airlines Lead Aircraft Maintenance Technician, offers his expertise on how to handle shutdown procedures, the best approach to access the 737 cockpit, electrical system shutdown, procedures to gain access to the battery and much more. This video captures the challenges faced by fire rescue departments for aircraft incidents that occur off airport property. According to NTSB, approximately 55% of aircraft incidents happen outside the airport perimeter. This statistic emphasizes the need for airports to include outside entities when they conduct their FAA triennial exercise, but additionally to incorporate different jurisdictional leads from the communities surrounding the airport. Orlando International Airport (MCO) hosted the largest full-scale exercise ever conducted in the State of Florida. Over 50 agencies from Central Florida participated in the scenario. The scenario was an A320 aircraft experienced complete loss of hydraulic power on takeoff, crashing into a hotel complex and leaving over 600 victims in its wake. The exercise, Operation Crash and Surge, was designed to test the response capabilities for an off airport crash that also challenged the surge capacity of 16 area hospitals. This video was produced by the Orlando International Airport. This presentation took place at the 2007 ARFF Working Group Annual Conference, September 5-9, in New Orleans, La. Chief of Training, Alex Kracun of Orlando Sanford Airport Authority, discusses ARFF tactics for interior/exterior aircraft fire fighting. Ted Costa, Deputy Chief for Massport Fire Rescue, gave an overview of Boston Logan's Operation LASER Progressive Training Cycle exercise from planning to the after action reviews. The Logan Active Shooter Emergency Response (LASER) full-scale exercise was a component of ongoing training intended to provide airport's leadership and tenants the opportunity to examine the performance of core capabilities required to effectively respond to and manage an active shooter incident. January 24, 2014. Robert Palestrant, District Chief for the Broward Sheriff's Office Fire Rescue Department and Emergency Services, wrapped up his discussion on how to identify cloned vehicles and uniforms, personnel and apparatus identification and implementing non-traditional training. Part 2 of 2. Recorded January 23, 2014. Robert Palestrant, District Chief for the Broward Sheriff's Office Fire Rescue Department and Emergency Services, gave an overview of the evolution of the fire service, how to institute change, airport security from a fire service perspective, and recognition of potential indicators of terrorist activity. Part 1 of 2. Recorded January 23, 2014. Dale Carnes, Assistant Deputy Chief for the San Francisco Fire Department - Airport Division, wraps up his overview of lessons learned from a chief's perspective. He also gave valuable leadership and management advice in handling emergencies at your airport. Part 2 of 2. Recorded January 23, 2014. On July 6, 2013, Asiana Flight #214 crashed at the San Francisco International Airport. Dale Carnes, Assistant Deputy Chief for the San Francisco Fire Department - Airport Division, gave a detailed accounting of the incident and the response. He also provided an overview of lessons learned from a chief's perspective. Part 1 of 2. Recorded January 23, 2014. Filmed at the 2014 ARFF Chief's & Leadership School, Steve Rosenthal, Legal Counsel for The Training Tree, presents a leadership enhancement program. In Part 3,Steve wraps up his main points on leadership. He focuses on the importance of a leader's vision and breaks down the process to create the goals needed to achieve the vision. He offers tips for leading and inspiring your employees. Part 3 of 3. Recorded January 22, 2014. Filmed at the 2014 ARFF Chief's & Leadership School, Steve Rosenthal, Legal Counsel for The Training Tree, presents a leadership enhancement program. In Part 2,Steve goes into detail about the different types of leadership and how to develop a high performance team. He disproves common myths about employee motivation, and reviews basic principles to remember about employee motivation. Part 2 of 3. Recorded January 22, 2014. Filmed at the 2014 ARFF Chief's & Leadership School, Steve Rosenthal, Legal Counsel for The Training Tree, presents a leadership enhancement program. In Part 1, he reviews the four broad concepts of leadership, and explains the importance of behaviors in your command staff to lead an organization. Part 1 of 3. Recorded January 22, 2014. Filmed at the 24th Annual ARFFWG Conference & Training Symposium, Robert Mathis, Assistant Chief for Boeing Fire Department, wraps up his discussion on Boeing's recommended fire fighting procedures to follow if a lithium-ion battery event occurs. Part 2 of 2. October 30, 2013. Filmed at the 24th Annual ARFFWG Conference & Training Symposium, Robert Mathis, Assistant Chief for Boeing Fire Department, discussed Boeing's recommended fire fighting procedures to follow if a lithium-ion battery event occurs. Part 1 of 2. October 30, 2013. Derek Moyer, Lieutenant of Fire Prevention at Orlando International Airport, demonstrates his inspection procedures of a tankard and hydrant truck according to FAR Part 139.321. Has your FAA examiner asked you to flow your dry chemical during an inspection? This instructional video demonstrates the procedures for dry chemical systems on OIAFR CFR apparatus through the periodic flowing of dry chemical agent and the charging of the agent tanks with nitrogen gas. These procedures ensure dry chemical systems remain serviceable. On May 4th, 2013, Washington Dulles International Airport's (IAD) personnel performed their full scale Triennial Exercise. This video gives an overview of the exercise from the incident response and triage to the transport of patients to area hospitals. Filmed at the 2013 ARFF Chief's & Leadership School, Tim Sampey, District Chief for Chicago Fire Department, wraps up his session on large scale events planning at your airport. He emphasized the importance of being prepared for any event that might occur at your airport. Part 3 of 3. Recorded February 21, 2013. Filmed at the 2013 ARFF Chief's & Leadership School, Tim Sampey, District Chief for Chicago Fire Department, continued his discussion on the steps to handle large scale events at your airport. Also, he gave examples of actual planned events and unplanned events with severe impact. He emphasized the importance of being prepared for any event that might occur at your airport. Part 2 of 3. Recorded February 21, 2013. Filmed at the 2013 ARFF Chief's & Leadership School, Tim Sampey, District Chief for Chicago Fire Department, discussed the steps to handle large scale events at your airport. Also, he gave examples of actual planned events and unplanned events with severe impact. He emphasized the importance of being prepared for any event that might occur at your airport. Part 1 of 3. Recorded February 21, 2013. Filmed at the 2013 ARFF Chief's & Leadership School, Captain Al Tropiano, of the Philadelphia International Airport Fire Department, reviewed the Northeast Philadelphia Airport crash that occurred on May 22, 2008. The incident involved a general aviation aircraft that crashed into a loading dock lot about 1,000 yards north of the airport. He also discussed the ARFF response to the incident. Recorded February 22, 2013. Filmed at the 2013 ARFF Chief's & Leadership School, Steve Stockam, Airport Manager at Joplin Regional Airport, reviewed the devastating events that occurred on May 22, 2011 and how his community handled the tragedy. Recorded February 21, 2013. Filmed at the 2013 ARFF Chief's & Leadership School, Courtney Liedler, Accident Investigator for the National Transportation Safety Board, wraps up her discussions on the protocol for accidents and reviews recent close out of accidents. Part 2 of 2. Recorded February 21, 2013. Filmed at the 2013 ARFF Chief's & Leadership School, Courtney Liedler, Accident Investigator for the National Transportation Safety Board, reviewed the protocol for accidents. Also, she identifies who the NTSB is, job responsibilities, and how they handle accident investigations with onsite personnel. Part 1 of 2. Recorded February 21, 2013. Filmed at the 2013 ARFF Chief's & Leadership School conference, Deputy Chief Thomas Kenney, of the Metropolitan Washington Airports Authority, wraps up his discussion on the federal aviation regulations governing the annual certification inspections for Class I airports and other hot topics for 2013. Part 2 of 2. Recorded February 21, 2013. Filmed at the 2013 ARFF Chief's & Leadership School conference, Deputy Chief Thomas Kenney, of the Metropolitan Washington Airports Authority, reviewed the federal aviation regulations governing the annual certification inspections for Class I airports, the training regulations as outlined in 14 CFR Part 139.319 and annual certification pre-inspection checklist. Also, he discussed foam and dry chemical testing requirements, miscellaneous ARFF requirements that will be checked at the annual re-certification inspection and other hot topics for 2013. Part 1 of 2. Recorded February 21, 2013. Filmed at the 2013 ARFF Chief's & Leadership School, Chief Duane Kann, Fire Chief at Orlando International Airport, wraps up his discussion on the jurisdictional challenges of bioterrorism specifically focusing on pandemics and communicable diseases at airports. Part 2 of 2. Recorded February 20, 2013. 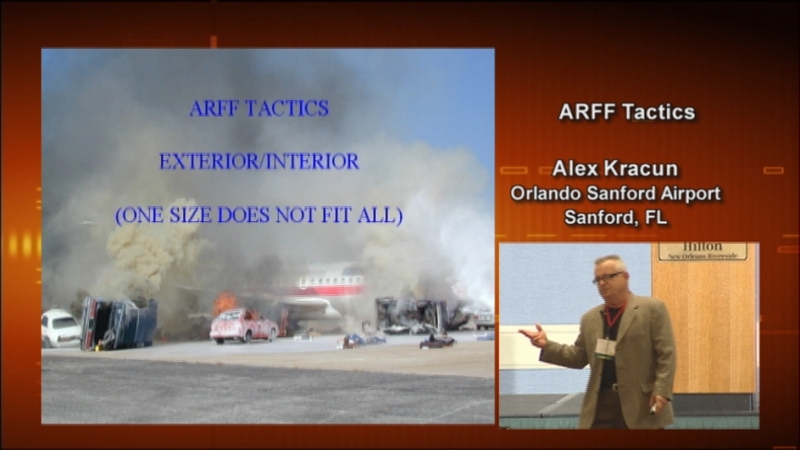 Filmed at the 2013 ARFF Chief's & Leadership School, Chief Duane Kann, Fire Chief at Orlando International Airport, reviewed the jurisdictional challenges of bioterrorism specifically focusing on pandemics and communicable diseases at airports. Part 1 of 2. Recorded February 20, 2013. Filmed at the 2013 ARFF Chief's & Leadership School, District Chief Michael Barakey, of the Virginia Beach Fire Department, wraps up his discussion on the events that occurred during their response to the April 2012 F-18 crash. Part 2 of 2. Recorded February 20, 2013. Filmed at the 2013 ARFF Chief's & Leadership School, District Chief Michael Barakey, of the Virginia Beach Fire Department, reviewed the events that occurred during their response to the April 2012 F-18 crash. Part 1 of 2. Recorded February 20, 2013. Filmed at the 23rd Annual ARFF Working Group Conference and Training Symposium, Battalion Chiefs Russell Kerns and Thomas Howes, of The Metropolitan Washington Airports Authority, gives an overview of the Washington Dulles Jet Center hangar collapse incident during the massive snow event of February 2010. Recorded October 9, 2012. Each airport's Airport Certification Manual defines the type of equipment and agent quantities required. In this video, you will learn the basic ARFF operational requirements as outlined in Part 139.319. This video is the third part of the series reviewing Part 139 ARFF requirements. The FAA has determined a minimum requirement of rescue and firefighting equipment and agents for each ARFF Index. ARFF equipment and agent amounts proportionately expand as the airport indexes increase in size. The details of these minimum requirements are explained in Part 139.317. This video is the second part of the series reviewing Part 139.319 Application of the Types of Extinguishing Agents requirements for ARFF. Part 139 uses an index system to provide the guidelines and information for airports to have certain numbers of rescue and firefighting vehicles on site, along with specific amounts of water and dry chemicals required to extinguish fires for different sized aircraft. This video is part one of the series reviewing Part 139 requirements for ARFF. In this video, you will learn how to determine an ARFF Index at your airport as explained in Part 139.315. Lt. Tom Littlepage, EVV ARFF (Evansville, IN) travels to MCO to team up with the Orlando International Airport Fire Rescue Staff to showcase their answer to Driver’s Training for ARFF Apparatus. Join Tom and Deputy Chief Frank Herndon, and Engineer C.J. Caparelli as they discuss how to set up a Practical Driving Cone Course, why it’s important, and why it can help your department. 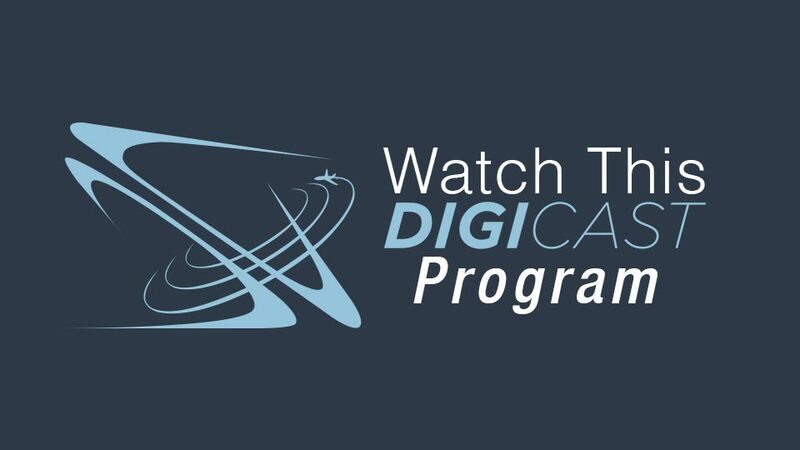 Join us for another installment of Digicast’s Aircraft Familiarization Series. Lt. Tom Littlepage, EVV ARFF (Evansville, IN), demonstrates what ARFF personnel need to know about the Canadair CRJ 700-705/900 Regional Jet. In part two, you will learn proper piercing tactics and strategies for cargo fires, how to determine critical information to handle incidents, and review case studies. This video was produced by the FAA. Part 2 of 2. In part one, you will learn about cargo aircraft configuration, cargo paperwork and procedures, cargo aircraft tactics and strategies, egress and access doors, open and close procedures for cargo doors, and cargo fire best practices. This video was produced by the FAA. Part 1 of 2. 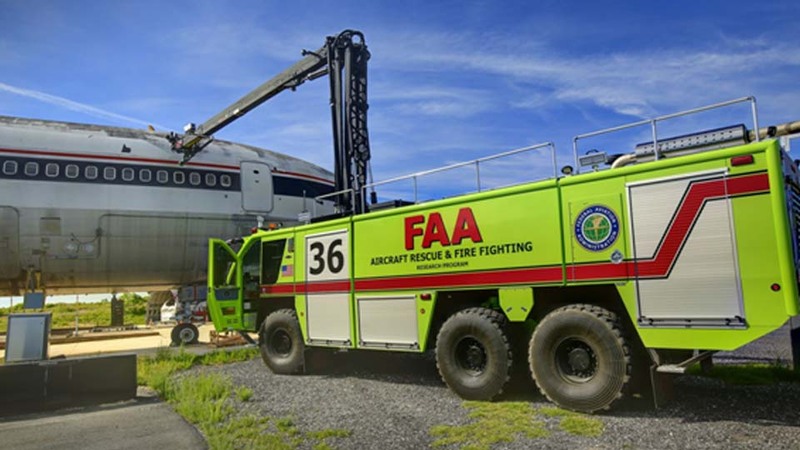 The High Reach Extendible Turret, or HRET, provides ARFF fire fighters with many tactical advantages useful in aircraft rescue and fire fighting. This video will review HRET tactics and piercing operations. Also, you will learn about turret and piercing training. This video was produced by the FAA. This video is a general introduction to Aircraft Forcible Entry. You will learn how to respond to an incident using forcible entry techniques and tools. Also, you will learn about relevant aspects of aircraft construction. This video was produced by the FAA. Lt. Tom Littlepage is joined by former Marine One pilot Jack Winternheimer for an in depth look at Medical Helicopter Safety. Jack, who is now the lead pilot for St. Mary’s LifeFlight in Evansville, IN shows first responders what they need to know when assisting the medical crew in loading the patient and how to safely shut down the helicopter in the event that crew is incapacitated. Part 1 is all about safely working around the helicopter and working with the crew. Part 1 of 2. Lt. Tom Littlepage, EVV ARFF, is back with a new edition of Digicast’s Aircraft Familiarization Series. Join us in Pittsburgh at the US Air Maintenance Facilities as Tom demonstrates key points ARFF responders need to know about the larger two aisle Airbus 330-300. If you haven’t watched the Airbus Single Aisle 319, 320, 321 video please watch it first and then enjoy this short video. In this episode of Digicast’s Aircraft Familiarization, Lt. Tom Littlepage discusses General Aviation Airport ARFF Training. Tom discusses what is covered in the eight hours of training, as well as the differences between Structure Gear and ARFF Gear. Tom also covers what tools can be used from a structure truck in an aircraft emergency. This video highlights Daytona Beach International Airport's full-scale emergency crash exercise that was held March 16, 2010. It documents their response and triage procedures to an aircraft crash. Produced and edited by Techtron Communications. In the final segment of FAA's Introduction to ARFF series, you will learn about fire fighting operations, and using the DOT emergency response guide. Part 5 of 5. Join us for the fourth edition of FAA's Introduction to ARFF series. This segment reviews different types of fire extinguishing agents, and emergency aircraft evacuation assistance procedures. Part 4 of 5. This five part series is an overview of basic ARFF programs that addresses commonly recognized theories, procedures, and situations. Part 3 features airport emergency communications and different types of fire suppression equipment. This video was produced by the FAA. Part 3 of 5. This five part series is an overview of basic ARFF programs that addresses commonly recognized theories, procedures, and situations. In part 2, you will learn keypoints on aircraft familiarization, rescue procedures, and fire fighting personnel safety measures. This video was produced by the FAA. Part 2 of 5. This five part series is an overview of basic ARFF programs that addresses commonly recognized theories, procedures, and situations. It is designed to help you understand aircraft emergency response, airport and incident scene safety, aircraft construction, stabilization and access, use of tools and equipment, and incident response and command. Part 1 briefly reviews details about airport familiarization, airport certification manuals, airport self-inspection, and the contents of an airport emergency plan. This video was produced by the FAA. Part 1 of 5. Lt. Tom Littlepage, EVV ARFF, is back again with a new edition of Digicast’s Aircraft Familiarization Series. Join us in Pittsburgh at the Maintenance Facilities of US Airways as Tom explains what first responders need to know about the single aisle Airbus Aircraft. You will learn about proper ladder techniques, manual cargo door operations, evacuation slide deployment and see inside this class of workhorse aircraft. In this edition of ANTN Digicast's Aircraft Familiarization, we feature the Embraer ERJ-145 ES. Lt. Tom Littlepage demonstrates important safety features and ARFF procedures for the ERJ-145. 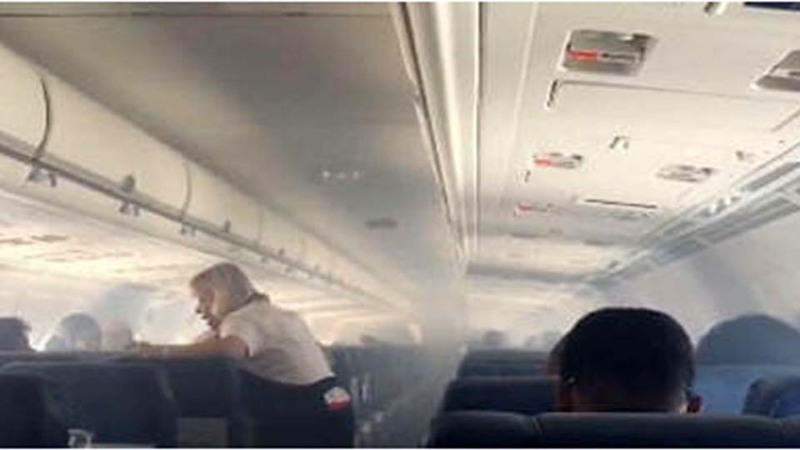 In addition, we get a glimpse of what is occurring in the cockpit as the flight crew discovers a fire in the baggage hold. On October 23, 2008 San Antonio International Airport (SAT) in conjunction with the Southwest Texas Regional Advisory Council for Trauma (STRAC) conducted the “Triennial Airport Emergency Exercise/SAMCEE 08” (San Antonio Mass Casualty Exercise & Evaluation). The exercise was the result of over a year of planning and coordination. Over seven hundred people and forty three agencies participated in making the exercise a success. The combination of the two exercises allowed SAT to test emergency response plans to a major air carrier disaster and allowed STRAC to test the ability of the area health system to process and treat mass casualties. Part 1 of 2. Recorded October 23, 2008. Join Lieutenant Tom Littlepage from the Evansville Regional Airport (EVV) ARFF station as he provides instructions on the correct procedures for rescuing a F-16 pilot in an emergency situation. Highlights of ARFF personnel going through various scenarios during a training session at DFW's live-fire training facility. Scenarios include both exterior and interior aircraft fires. This video covers the basics of ARFF personnel safety and the Airport Emergency Plan (AEP) as required in FAR Part 139.319. Keith Bagot FAA Airport Safety Specialist explains fire protocols for testing new fire extinguishing agents. 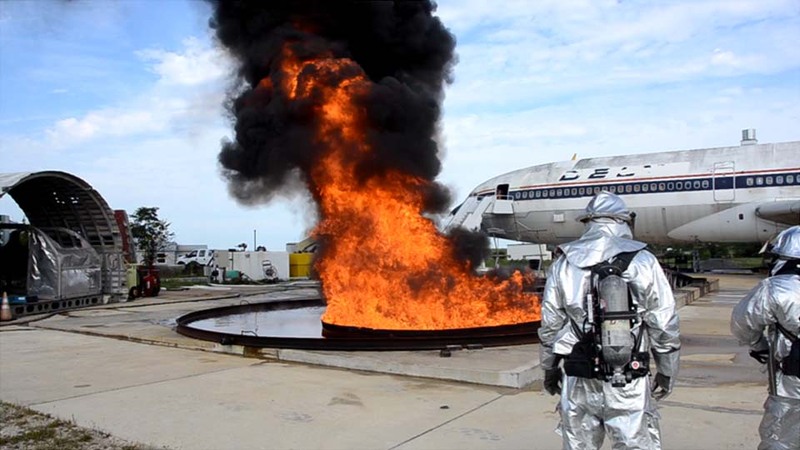 This live fire demonstration at the FAA Technical Center in Atlantic City was conducted for the ARFF Working Group. In this test the effectiveness of an approved clean agent was demonstrated and compared to the standard AFFF. A profile of the River Rescue Team at Reagan Washington National Airport. The team goes over its daily duties and how it secures the area waterways. A patrol of the Potomac River is part of this profile. An in-depth profile on the ARFF unit headed by Robert Donahue at Boston's Logan Int'l Airport. See what equipment they use to battle fires and what training they undertake to keep on their toes. This video is a profile of how to do proper forcible entry into an aircraft. This video was taped at Tucson, AZ during their forcible entry demonstration. Learn how the ARFF crew operates at Albany Int’l Airport. In this video we see the different types of equipment they use and learn more about their daily training. 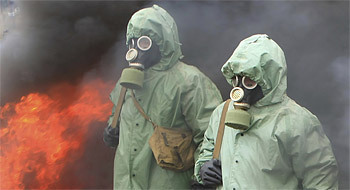 Produced by ANTN, this program details the disaster drill that took place at Ronald Reagan Washington National Airport. It contains interviews with drill participants and post-drill analysis. Produced by ANTN, this drill took place May 8th 2004 at the Washington Dulles International Airport in Virginia. The drill includes regional responders, Red Cross, media, and FBI and NTSB agents as they help the airport deal with a plane crash caused by a shoulder launched missile. The program also covers post drill evaluations and interviews with various participants. Produced by Fort Lauderdale Int’l Airport, this video demonstrates techniques you can use in creating your own disaster drill. It also details how Fort Lauderdale’s own water rescue was carried out. Filmed at the FAA Regional ARFF Training facility at Pittsburgh International Airport, this show gives you a rundown of the proper procedures for using a hand carried ladder to rescue victims from a fire. Filmed at the FAA Regional ARFF Training facility at Pittsburgh International Airport, this show gives you a detailed description of the proper method to use when fighting fires with a hand line. This drill gives you an in-depth look at how to properly control the hose and nozzle portions of a hand line during Aircraft Rescue and Firefighting procedures.